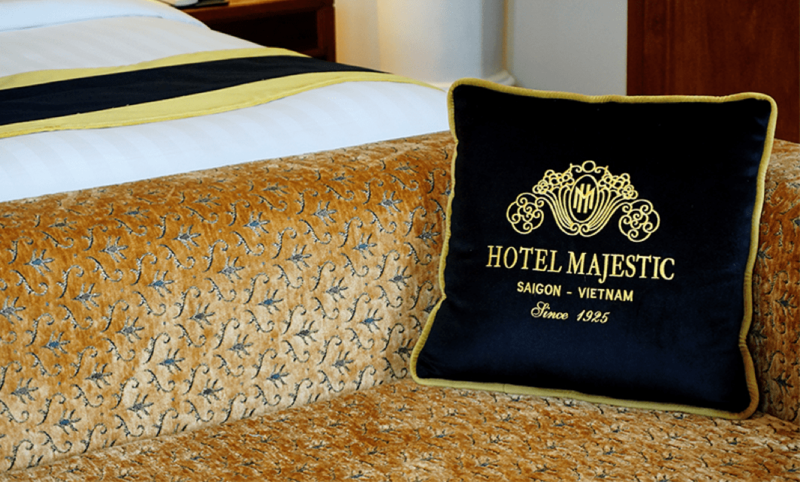 Since 1925, Hotel Majestic Saigon has occupied one of the finest locations in Saigon where guests can enjoy the stunning views of the Saigon River. The old boutique charm of the hotel, the elegance of the classical French colonial design enhanced by its columns and arches glorify the Golden Age of architecture. Luxury is achieved through attention to details and complete comfort ensured through courteous service. Comprising 175 rooms, six restaurants and bars , this art deco structure situates regally in the heart of the pulsating city center. On the picturesque riverside corner of Dong Khoi (and Ton Duc Thang) street(s), much of its most 90 years old façade have been retained, as can be seen from the arches of the lobby to the private room balconies, enabling guests to take in the bustling street life.